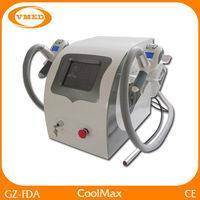 H6:Multipolar RF(10Mhz) for body wrinkle removal and skin tightening. 3.3rd newest high 10Mhz Radio frequency with over heat control system. 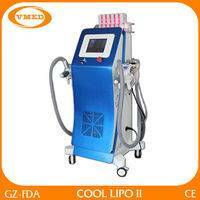 4.650nm diode laser with 100mw/each to melt the fat cell easier without labor. means fat and “lysis” which means to break apart. 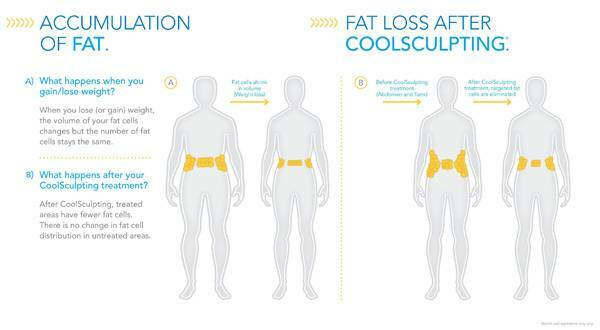 Therefore when combined, cryolipolysis means the elimination of fat cells by freezing or cooling. The fat cells that are exposed to the cold will disintegrate in a process of natural cell death also known as apoptosis. The lipids that are released in this process are progressively eliminated by natural metabolic activities over the 3 months following the procedure. Regular exercise during this period helps to optimise their elimination. 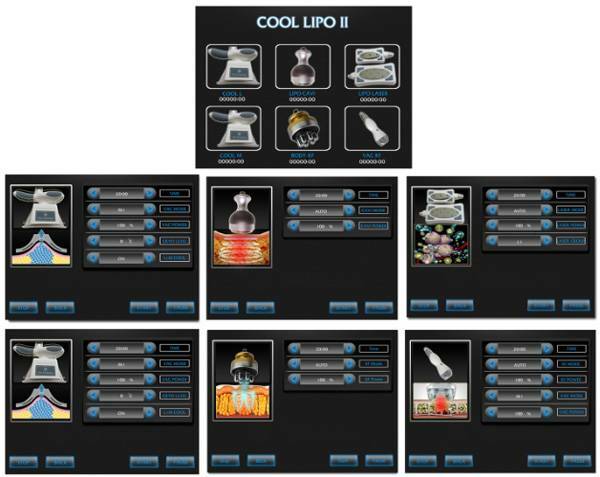 Cryolipolysis affects only fat cells, since they are more sensitive to cold than other cells. Hence fat is removed while sparing neighbouring skin, muscles and nerves. This non-invasive technique offers an alternative to liposuction for those who wish to avoid the risks and recuperation time inherent to surgical procedures. Best results are obtained on patients that have a healthy weight and diet, but wish to get rid of resistant fat bulges. In the past, as recently as some 20 years ago, anyone seeking medical intervention to help them with body contouring had only intrusive surgical procedures (such as liposuction) to consider. It was in the late 1980's that RF cavitation first appeared and began to draw potential patients away from intrusive cosmetic surgery. Physical exercise and a responsible, healthy diet will go a long way towards reaching and maintaining desired body proportions, but many times, for various reasons, they are just not enough. This is where non intrusive medaesthetic body contouring treatments such as RF cavitation come in. By projecting RF (Radio Frequency) electromagnetic waves through the skin and into underlying stubborn deposits of cellulite the molecules of fat are heated and broken down into substances which can then be absorbed into the blood stream and disposed of through normal metabolic function. 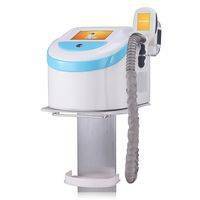 It is common to follow RF cavitation treatments with projection of IR (Infra Red) energy which helps to tighten the skin over the area treated. 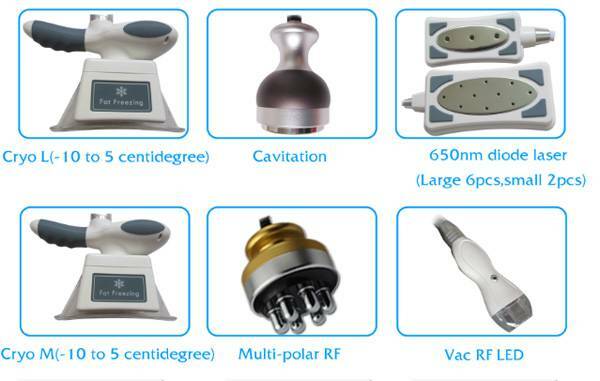 Experienced personnel in medaesthetic clinics know how to calibrate RF cavitation variables in order to maximize effects according to an individual patient's characteristics. Body contouring machine suppliers have not been caught off guard so far as RF body sculpting equipment go. They have continuously improved and added new features to the RF cavitation equipment they manufacture. For this reason today's RF body contouring treatments are much more effective and comfortable to endure. method Low Level Laser provides results without the dangers associated with surgery, while at the same time allowing patients to remain active during treatment. The Low Level Laser protocol utilizes tented and clinically proven low-level laser technology. Voluminous adipose tissue can appear when fatty material is present, and this, in turn, can bring about enlarged subcutaneous fat regions. 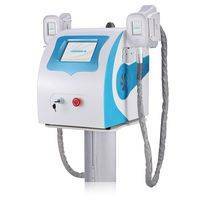 Because subcutaneous fat is close to the skin's surface, laser emulsification can have a dramatic effect. The collapse of adipose arrangements have been noted after laser therapy, reducing their volume and providing effective body contouring results.